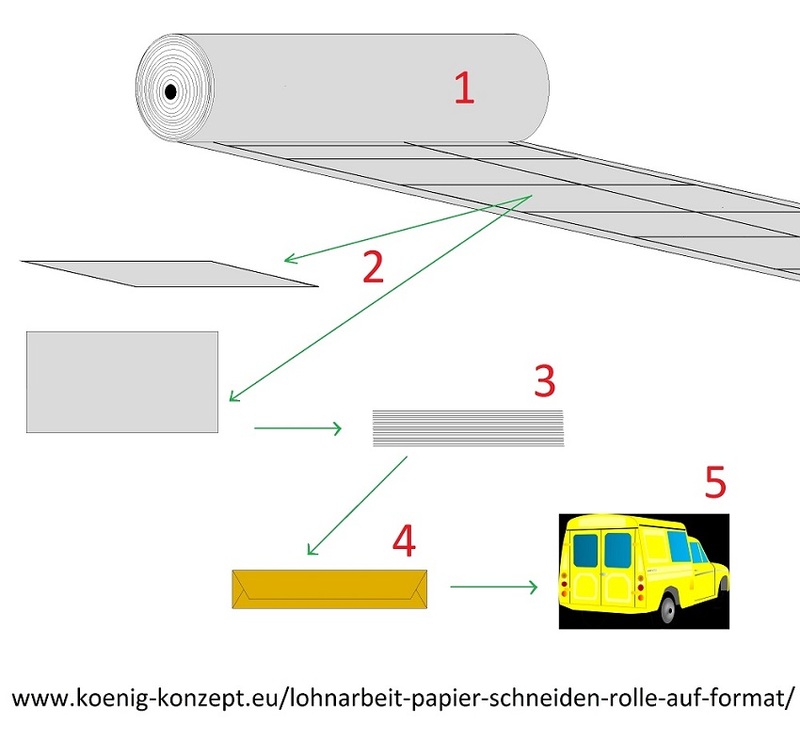 We cut your roll paper for you to your desired format. Papers and paper-like materials (book tape fabric or something like that) that are traded on roll to cut in format requires appropriate technical equipment. The fact that the trimmings really lie plan is one of the most important requirements. We will, of course, cut EVERY paper from roll to format. Regardless of whether you have purchased this from us or as contract work for materials provided by you. It is self-evident that we pack and ship the cut papers and fabrics cleanly and adapted to the requirements of the material. Discreet neutral delivery using a delivery note provided by you is possible without any problems. Rolls with a width of up to 150 cm and a length of up to approx. 1,000 m (possibly material-dependent. More or less, too). Of course, we can also offer you many other ready-to-use works.